1. 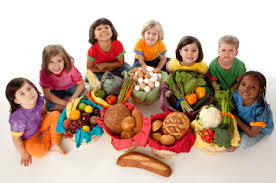 Children and adolescents should eat sufficient nutritious foods to grow and develop normally. They should be physically active every day and their growth should be checked regularly. saturated fat, added salt, added sugars and alcohol. 1. Limit intake of foods high in saturated fat such as many biscuits, cakes, pastries, pies, processed meats, commercial burgers, pizza, fried foods, potato chips, crisps and other savoury snacks. as oils, spreads, nut butters/pastes and avocado. - Low fat diets are not suitable for children under the age of 2 years. 2. Limit intake of foods and drinks containing added salt. 3. Limit intake of foods and drinks containing added sugars such as confectionary, sugar-sweetened soft drinks and cordials, fruit drinks, vitamin waters, energy and sports drinks.